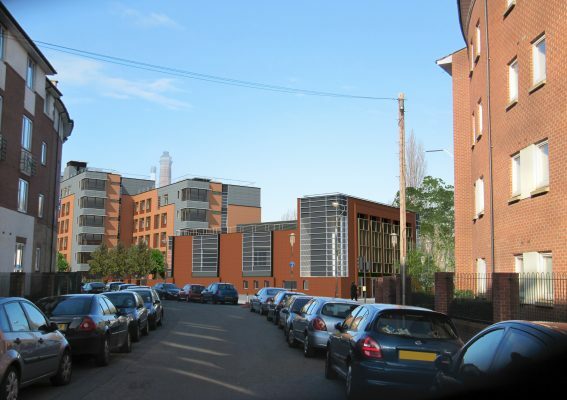 MJP were appointed by the University of Birmingham in 2005 to produce a Development Framework for their Edgbaston and Selly Oak campuses, as well as to provide design services and advice on various individual building and urban design projects. We were commissioned to design student accommodation, sports facilities, a cafe and a bar at the south entrance to the Edgbaston campus. 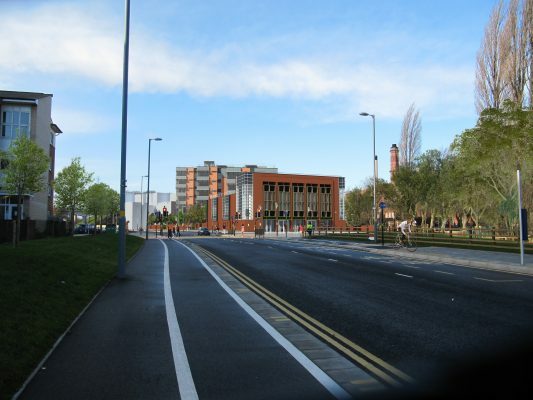 The project also includes a future road bridge across the Bourn Brook at the west end of the site, providing access from the newly-built Aston Webb Boulevard into the campus. 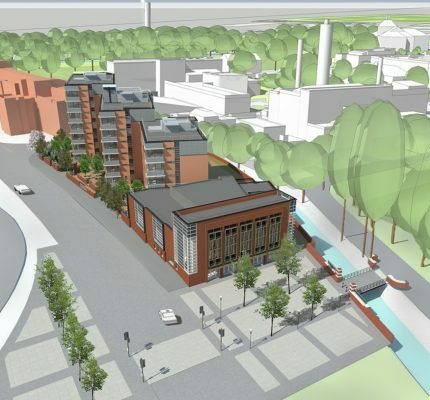 The scheme contains a mix of uses which will help to create a lively atmosphere at this busy entrance to the campus: a public cafe and bar overlooking the new plaza; changing rooms and ancillary accommodation; and student rooms in self-contained flats. The residences consist of 178 ensuite study bedrooms arranged in 34 flats ranging from 4 to 7 people per flat. 11 study bedrooms are accessible rooms. The residences are in three staggered blocks, each having a main entrance from the south and a secondary entrance to the north courtyard. Kitchen/dining/living rooms are at the outer corners of each block with good views into the campus and along the road. ￼The pavilion is conceived as a stand-alone building. A cafe fronts the new plaza with a reception area for arriving students or sports teams. There is a separate entrance to the sports changing rooms, giving direct access to the University’s playing fields. A salon bar and terrace on the first floor overlooks the plaza, with views across the playing fields and back to the listed Aston Webb buildings and “Old Joe” clock tower. Outline Planning was gained in August 2012 as part of the University’s Hybrid Planning Application, with a consent for Reserved Matters gained in November 2014.